Those of you lucky enough to be attending this years San Diego Comic-Con are in for a historic Super-treat courtesy of DC Entertainment and Warner Brothers. 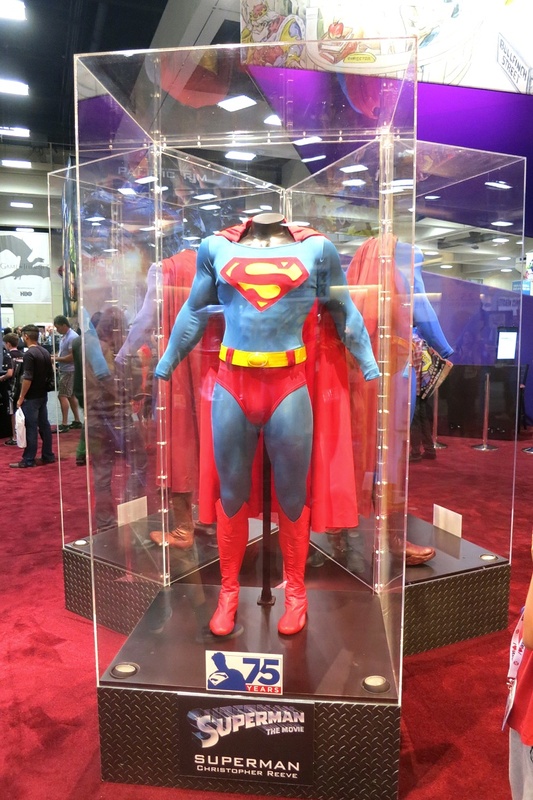 To coincide with the 75th anniversary of the Man Of Steel, an elaborate showcase of genuine costumes celebrating the many live-action incarnations of Superman from the small & silver screen is currently being exhibited among the hordes of pop-culture memorabilia (credit to respective photographers for the pics above). 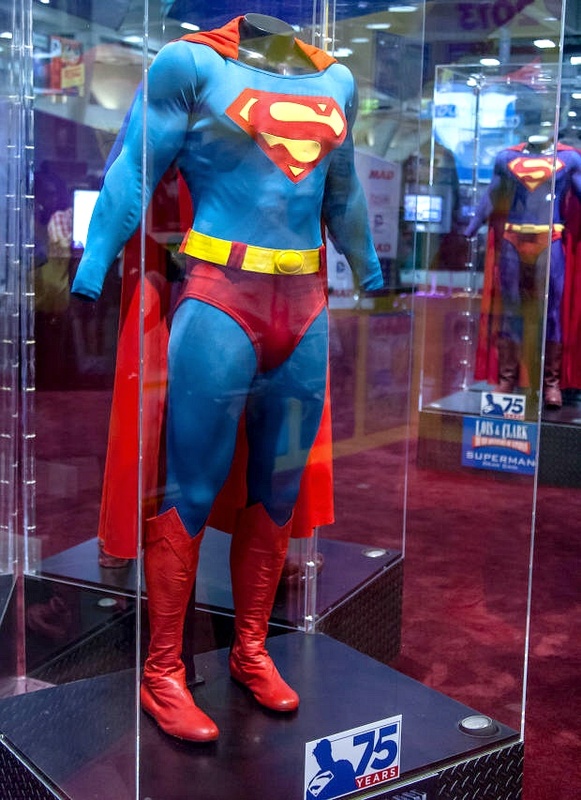 From CNET.com; Leith Adams, movie poster expert and the Executive Director of Warner Brothers Corporate Archive, delves into the secret history of Superman’s on-screen costumes. “I was always told, ‘You can’t save everything, Leith,'” he recounted. 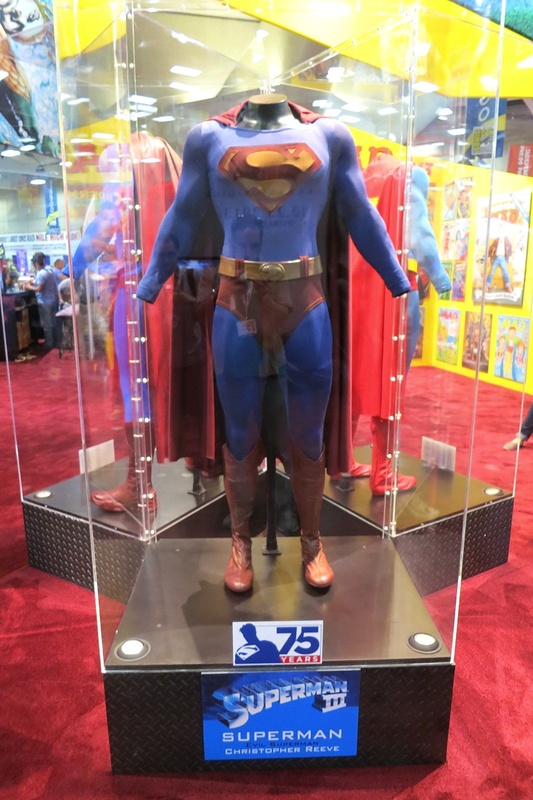 But when it comes to some classic Superman suits, Adams was able to save the day. Or at least, the fabric.